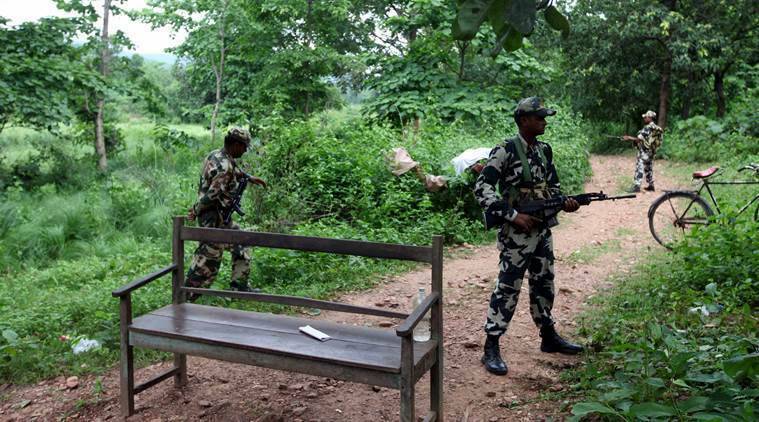 THE MAOIST brass are worried about the qualitative fall in their ranks and their organisation’s vulnerability to “information based attacks”, and foresee no change in government policy irrespective of who wins the 2019 Lok Sabha elections, according to “rare” documents seized late last year from a camp run by the CPI (Maoist) in Dantewada. The documents, believed to be of the CPI (Maoist)’s Central Committee (CC), its top decision-making body, and its Central Military Commission (CMC), also reveal that the cadre has gained “experiences” in activities such as making “improvised artillery” using indigenous materials and sniping. Security sources told The Sunday Express that these “self-assessment” documents are important because of their length — the CC “sandesh” has 18 pages and the CMC document 32. They also include military roadmaps, they said. Awasthi described the documents as “rare” because “these are not compiled that often”. The documents are dated as being written in July and August 2018, after a change of guard in the top leadership of the CPI (Maoist) when Namballa Keshav Rao, also known as Basavraj, took over as general secretary from Ganapathy. Basavraj has been the CMC chief for several years. “Since he is both CMC chief and CC head now, this shows his direction. We suspect that under his command, militarisation will only increase,” Awasthi said. On the Lok Sabha elections, the message in Hindi states that the BJP “may be successful and if they come to power, “SAMADHAN” will continue”. On the other hand, it says, “If the Congress is successful in making a Mahagathbandhan, then too that government will work towards the extinguishing of revolutionary movements, and there will be no big difference in policy.” Among the counter-measures it advocates is convincing people to back Kashmiri, Naga, Manipuri, Assamese separatism and other autonomy movements, and support the fight for separate states of Bodoland and Gorkhaland. This assessment primarily attributes any weakening to a strengthening of state intelligence networks. “By spending vast amounts of money, they are improving their human and technical intelligence. They are trying to make informers bring us civil and military supplies and creating coverts, and are using modern technology to listen to our communications. They are watching those activities that have to be carried out by mobile phones, and are collecting information when our mobiles, tablets and laptops come into their hands…,” it states. The document appears to cite Dantewada as an example of the government reaching out to tribals through efforts such as Tribal Enterpreneurs Summit in Dantewada in 2017, e-business, e-rickshaws, indigenous businesses, schemes, and cooperative farming models. “… They are putting these people forward as examples of tribal development,” it states. It also claims that over the years, strategies have been developed on IED drill, ambush, raids, fire and movement, unarmed combat, a military manual, company drills, booby traps, snipers, mine warfare and setting up camps. It declares that “useful lessons have been learnt” from “negative engagements”.